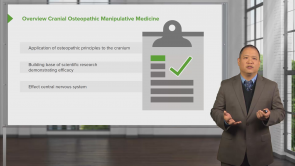 This course will cover osteopathic diagnosis from head to toe. Students will learn how to diagnose dysfunctions or restrictions of the cranial region. You will be invited to review your anatomy and physiology knowledge, and find out how any dysfunction of the normal structure can potentially disrupt the function of the body.